At the end of the last year, journalists at Radio Liberty spent 6 nights under the Presidential Administration so that to make it clear, who are those people public servants meet with. This was the period that vivid discussions about the destiny of the Cabinet of Ministers and the government budget took place. Ihor Mazepa also proved to be one of those “night guests” of the Presidential Administration. This renown businessman and owner of Concorde Capital Investment Company several times happened to be on journalists’ cameras. It is unlikely that the appearance of this businessman at Bankova Street came as a surprise to anybody. Ukrayinska pravda previously highlighted that Mazepa is one of 18 advisors to Chief Executive Officer of the Presidential Administration Borys Lozhkin. Ukrayinska pravda’s interviewees mentioned that Director General of Concorde Capital influences many personnel appointment decisions that come from the Presidential Administration. Some personnel decisions are still associated with him. By way of example, the former Chief Executive Officer of Ukrspirt Roman Ivanyuk came working to this government-owned company specifically from Concorde Capital. Mazepa, according to owners of vodka businesses, was even present at one of the closed meetings of Ukrspirt’s Chief Executive Officer with market participants. He denies this. They say that Mazepa comes by the Presidential Administration not so frequently as before and now has no proper support from the Protector of the Constitution. The relations of the investment banker with the Administration became colder that is associated with his conflict with Borys Kaufman and Aleksandr Granovsky. A possible reason of that war needs to be looked specifically in the story with that same Ukrspirt. Ivanyuk left the government-owned company as later as in autumn 2015; now this government-owned monopoly is led by Sergey Bleskun who previously worked for Kaufman. At the moment, Mazepa is more engaged in projects of Concorde Capital, privatization matters and everything that takes place there. According to the investment banker, his team is ready to participate in many competitions, including, without limitation, that they are also interested in such lots as Odesa Port Plant, energy generation companies (oblenergoes) and, possibly, Ukrspirt. The interview took place a week before the expiry of the term for submission of bids for competition on Odesa Port Plant and back then he asserted that the State Property Fund will not obtain any bid confirmed with money. He was right. —Are you going to politics again? Not long ago you tried to be elected to the Parliament with the party of Sergey Tigipko. — ‘Again’ is too loud a word, because I have never been in politics. The situation with Tigipko was more or less an unpleasantness for me and, I am afraid that for Tigipko alike. I have only been in business and I have no political ambitions. — Notwithstanding all that, you can hardly be perceived as a man who does not influences political decisions in any way. My judgment is based at least on how frequently you visited the Presidential Administration. — And how frequently did I? — Only in Radio Svoboda’s story about the night guests of the Presidential Administration, you happened to be on camera twice. — No surprise, I server as advisor to Borys Lozhkin. I am related with him on business [at first, Concorde Capital conducted IPO for UMH, then helped sell that holding company, epravda] and friendship. We have had no business relations for a long time, they ceased to exist as late as two years ago, when Lozhkin took charge of the Presidential Administration. For another thing, I served on the Ukreximbank’s Supervisory Board until the last week, but I wrote an application for dismissal as late as in February. — Did you advised the Chief Executive Officer of the Presidential Administration only on personnel matters? — I cannot tell that I was assigned any definite matters. These were, by way of example, matters of engagement of Western investments to Ukraine. I also provided some opinion from business community on regulation or initiatives of the Government. People who work for the Presidential Administration, they form some kind of restricted circle. Frequently, even in business, the life style of my friends can be described by the following set pattern: two-three security guards, they look around, so that nobody come close or, Heaven forbid, talk with them on the street. Those people, they mainly go walkabout among three places — home, office and restaurants, where they meet friends. Such people even rarely are on open air. They come out of the house, entrance, go to car, then they are transported to office, unloaded, use elevator to climb up to office, see somebody, talk and go to a restaurant. That is about their life style. That also applies to politicians and public servants who work for the Government. The only difference is that they appear on the street even less frequently. Such people cannot frequently communicate with business or walk around the street, see whether shops are empty or not, what are lease fee rates, what are the prices for apartments, is it more or fewer showrooms now. They, on the other hand, are given pallid statistics that rather distorts, than discloses the actual situation. One of my functions has to do with response of business community on some matters. — Judging by the story, you were not really keen to publicize your role as an advisor to Chief Executive Officer of the Presidential Administration. — I absolutely neutral in stance on that, this is neither bad nor good. I started talking about it, when Lozhkin announced about it. — You will not deny that you give advise to Lozhkin on personnel matters, will you? — Look, your fellow journalists filled in many blanks and demonized me a wee bit. Things are not quite that way. Look, by way of example, Aivaras Abromavičius [former Minister of Economic Development and Trade — epravda] was nominated. Everybody saw that he has always been engaged in investment management, fund management. We are the largest broker house, investment company, it is obvious that he was our customer. They com and ask me these questions: Tell what is this man? What are his professional qualities? What was a response to any situation? Apart from me, as far I understand, the same questions were asked to a dozen more of other people. It just turned out that many people who came to the Government, came from investment banking. — Many of them also served at Concorde Capital. — Yes, and I a happy to say none of them failed. We can talk about each of them separately. I, of course, am happy that Andriy Gerus is associated with me or Concorde; however, in actual fact before he joined the NEURC, he has not worked in this country for two years. He studied in France, London. And what is more, he was the man who led Maidan Protests in London. When we participated on Maidan Protests in Kyiv, Gerus organized Maidan Protests on London, near Ukrainian Embassy, before the house of Akhmetov and other public figures. — He continues to oppose Akhmetov by actively criticizing the current formula of price for coal for combined heat and power plants. — Somebody would think that he continues to oppose Akhmetov; however, this is not true. When he enforced transparent price for transformers and saved billions of UAH for the country, Grygoryshyn accused him of receiving money from Akhmetov. He did so behind the scenes and in public. Now, Gerus is enforcing normal transparent tariff for electricity for all businesses, large and small and utility companies. Yes, it is clear that Akhmetov is the main beneficiary of that tariff; however, Gerus is first and foremost enforcing fair tariff for businesses. — Roman Nasirov, most likely, also cannot be viewed as a man whom you would recommend; however, you have long worked with him. Many questions are being asked to him at the moment, firing him was on the table several times. — I was the man who dragged Nasirov away from London as late as in 2007. He then served at some investment bank. I offered him work here, in Ukraine, at Concorde. He kindly agreed and we have worked together for several years. Then he served at other places for 5–7 years. Are we acquainted? Yes we are. Are we friends? Well, we are clearly close to one another. Is he my man? Nonsense. — In the recent months everybody complained, even businessmen well acquainted with Nasirov, and I dislike that. Would businesses like to pay taxes? Of course not. Do they pay them still? With Nasirov, they are compelled to. Are there problems with corruption and VAT? Of course, there are.— A scandal with VAT refund is just developing at the moment. Is Nasirov accomplishing the fiscal task? Of course, he is: growth in the customs duties and tax payments for six months in 2016 amounted to 30% in comparison with the similar period in 2015. However, in 2016, the government budget did not receive bonuses in the form of UAH 20 billion in dividend from the National Bank of Ukraine, 9 billion UAH from sale of 3G licenses and one billion revenues from supplementary customs duty that were received in 2015. Does this mean that businesses are going out of shadow? Generally speaking, yes, but, judging by negligible GDP growth, this also means that money are siphoned off businesses. I am not trying to protect, I have no false sensation that 300-thousand rigid and established army of tax officials on one day will stop being corrupt. And those journalists or my fellow businessmen who complain of the situation are frequently right. — Did Chief Executive Officer of the State Fiscal Service not really know that detachments of tax police went on a spree across the country and intimidated exporters of nut? — I don’t know details of that case, therefore, I cannot judge. Unfortunately, an enormous conflict of interest in the process of the government budgeting has long existed in this country. The main driving forces, ideologists of any tax reforms were either tax service or the Ministry of Finance. This is nonsense! As a matter of fact, the tax service is a financial officer that levies taxes. The Ministry of Finance is an accountant and treasurer that has a written order: give that one this, take from that one this and control the intended use of the funds. But how are things done in this country? The Ministry of Finance decides what incentives will be given to and taken from industries. This is what a conflict of interest is. This should be more of a role for the Ministry of Economy. — How would you evaluate members of this Government? — Apart from some Ministers, such as Aleksandr Danilyuk [Minister of Finance — epravda] or Taras Kutovyi [Minister of Agrarian Policy — epravda], this is the weakest Government in the recent ten years. Groysman, I think, has all chances to become an actually bright Prime Minister. It is not the time yet to judge about any results; however, I was pleasantly surprised with his position on the tariff, when they were set 100% higher. I was pleasantly surprised with his resolute position about appointment of Chief Executive Officers of Ukrposhta and Ukrzaliznytsya that are the most corrupt organizations in the government sector. I was pleasantly surprised also with some deregulation activities. By way of example, cancellation of certification of imported medicines that come from Western Europe, USA or Japan. This is what we had to do as late as 20 years ago. I think he has learned to run file working as speaker of the Parliament. This should help him. — You mentioned Danilyuk; however, he cannot brag about successful cooperation with the IMF yet. The tranche is not here and will not be until autumn. — Everything that concerns the IMF, had already evolved into some kind of a farcical play. When we need money very strongly, any decisions are made immediately, there always is the political will and even constitutional majority. But when money are not needed, we need no reform somehow. The requirements the IMF sets are not only those of the government budget; but also those of banking system, privatization, anti-corruption, a number of reforms, which Danilyuk has no influence whatsoever should not have. — That is to say, the IMF’s money are not needed at the moment? — There is no strong need at the moment. There is no pressure on the Hryvnia. On the contrary, the National Bank of Ukraine buys back hundreds of millions of USD from the market using purely market-based methods. On the one hand, stabilization of the government budget, monetary system, foreign exchange—is positive for the market and business environment. On the other hand… Unfortunately, the IMF needs reforms more than we do. Any painful reforms in this country were more frequently done under pressure of our Western partners—the White House or the IMF. By the way, about the macrosituation: I believe in this country. In 2016, growth will be only slight—1.5-2%. On the other hand, growth in Hryvnia income of the general public, will most likely approach 20%. — Salaries in Hryvnia grow, so do pensions.— At the expense of what? — What is the likelihood of this forecast, if we receive no tranche? — Where will the tranche go? The tranche will not go to compensate the deficit of the government budget, because there is virtually no deficit as tax revenues are high. The deficit of the government budget for the first five months amounts to symbolic UAH 3.8 billion. The tranche will go to the reserves of the National Bank of Ukraine that are important when there is pressure on the Hryvnia. At the moment, as we see, everything shows to the contrary. The tranche is very good. It will unblock the US government guarantee for USD 1 billion and macrofinancial assistance from the EU worth EUR 1.2 billion. However, if we have no tranche, this will not be a disaster for this country in the coming several months. However, in such case, the progress of reforms will not be as dynamic. I think that inflation will be on the level of 10–12%, that is to say a difference of 8–10% is actually a growth in solvent income of the general public. This means that people will be able to buy more pies, telephones, bicycles, and all the rest. It is retail consumption that may become a driver of future growth. The prices for commodities help a lot. — Cereals? There was a concern at first that a drought will occur in America. The concern did not materialize and, accordingly, inventories are high, prices went down. Prices for corn, most likely, will be low. In addition, corn is influenced by some external factors: the lower oil prices are, the lower is the demand for biofuels and the lower the demand for biofuels is, the lower is the demand for corn. Ore and metal products grow: at the beginning of 2016, China poured in a huge amount of money in provision of incentives for economy and real estate. High growth resumed and construction industry started moving. This became a driver of growth in prices for ore that grew from 38 USD to 55 USD per ton. Prices for ore and metal products will most likely not decline strongly. As far as agricultural products is concerned, the market will be volatile. There always is a seasonal factor and excess of inventories; therefore, prices will continue to be low. However, by the way, even with the prices as low, an efficient producer, say, an agriholding company, has a profit margin of approximately USD 300 per hectare. — We export more, this country set a record; however, if in monetary terms, the indicators are the same as in 2013. — Life isn’t fair. We need to perceive this for granted and adapt. — What is awaiting us in mergers and acquisitions market and in what sectors should we anticipate activity? — When you can do no right, when everything is out of joint, then a plan can be made for one to three days in advance. This was a normal planning horizon for 90% of businessmen in this country in the recent two years. However, when they have some kind of light at the end of the tunnel, the planning horizon expands significantly. This is what are facing now, in my opinion. — What is the attitude to Ukraine abroad? We look there too, prospectively, when we are talking about M&A market. — Any mergers and acquisitions are based on the situation with resolution of debt problems. The banking system is bad debts by virtually 70-80%. only every fifth company is able to pay its debts in this country, the rest are either bankrupt or under restructuring. Any activity that is related to engagement of supplementary finance or participation in capital of funds is one way or another related to old ‘unresolved cases.’ This is not a situation when foreign investors, strategists, and portfolio investors quickly come and compete for our booming market. Yes, we can see sporadic transactions, including, without limitation, those with participation of Western investors; however, this is more an exception than a rule. Unilever has launched a plant near Kyiv recently. The same applies to the situation with Ciclum as one shareholder sold to an offshore investor. However, the fact that Soros chimed in is, of course, significant and indicative. We launched a clinic in Dobrobut, somebody launched a small metal working department. Or Creative bites the dust. Kernel chimes in. A market transaction? Of course. Might somebody else, apart from them, chime in? Most likely, no. — Talking about assignment of the right to claim of the debt owed by Creative, Kernel has not yet paid all the money. — Yes, there was payment of half the amount and then payment by installments over five years. Nevertheless, USD 45 million is not an easy thing to raise. Who would pay that amount out at once? On what market? This transaction is indicative as it also emerged out of the situation with resolution of problematic debts that have been building up over four to five years. — … is very low. An interest converted into a transaction is an exception. On the other hand, there also are positive nuances. Do you frequently fly in Europe? I fly virtually every week and all airplanes in Ukraine are jam-packed with people, and not only Ukrainian tourists. They include many foreign businessmen. If you visit some hotels, you will be surprised; however, they are also packed with businessmen. This is a good sign. People, before investing in something and taking risks, always need to take a smell, have a talk, listen, feel and feel the pulse. This is what is going on at the moment. — Do you believe that by the end of 2016, the Government will manage to sell at least one of properties that are sort of harder to move? — There is an interesting survey published in Financial Times. The journalists surveyed how, Poland has managed to make their immense breakthrough in the recent 20 years. For that period, Poles actually have come a long way that they had not been able to in the recent 500 years. FT journalists explain that phenomenal occurrence by pointing to ultrasuccessful privatization. Apart from the money that the country received to the government budget, she also received new investors, new knowledge, management and corporate governance, efficient stock market and pension system, new infrastructure—airports, roads, and ports. It is due to privatization that the country caught up from their 500-year lag behind the Western world. Unfortunately, Ukraine has not seen that kind of thing yet. The results of privatization for 2015 include a howling shame of USD 1 million or 25 million UAH, for which our respective Government or the country managed to sell some kind of institute, most likely, and, for 2016, that same howling shame of 40 million UAH. The sale of Odessa Port Plant should become a trigger. The Government came and honestly said that Odesa Port Plant will be our first sale that will showcase for all investors that they should not be afraid to enter Ukraine. 18 July is a significant day when prospective buyers should pay a deposit, so that to participate in the auction. I doubt that the State Property Fund would obtain even a single money-backed request. — This is a matter of price. The starting price is not just 523 million, it is 723 million including debt. The Government can think and treat that debt as they like; however, it does exist. Therefore, any investor that may come will proceed from that assumption of USD 720 million. — Is this irrelevant price for such an asset? — Of course, it is irrelevant. How did the Government or the Fund arrive at it? I even don’t know, to be honest, who wormed their way in among the valuers. — So this is the information you do not have, do you? But you are a shareholder [Concorde Capital has been the owner of approximately 0.4% stake in Odesa Port Plant since 2007 — epravda]. — There was some kind of valuer that went unnamed and did some unclear valuation of its own, did a DCF [Discounted Cash Flow — epravda] model. I don’t know what assumptions they made; however, I am positive that a fair price for the asset would be, most likely, USD 100-200 million, USD 300 million at the highest. The next question is that of the role played by the superbrand Western adviser, UBS, a Swiss bank, appointed as an adviser of the whole process. There also were EBRD jointly with the World Bank. As far as I understand, they recommended that the starting price should be USD 300 million. Contrary to their advice, the Government and the State Property Fund still set a different starting price, because, they most likely, feared the political responsibility. Contrary to recommendations given by the IMF and the EBRD, the seller refused to revise the starting conditions. Pure crap. This just shows institutional weaknesses of the State Property Fund in the processes of any privatization, whether large or small. There is some kind of a valuer that proves to be more important than the Western bank and international organizations. This is instead of just setting the zero starting price and let the market decide on the actual price. — Can there be a different reason: they just are unwilling to sell Odesa Port Plant? —They could ask such an exorbitant price just to avoid the sale. However, the State Property Fund and the Government assumed high responsibility. I don’t think that they would sabotage the sale, but influence groups that sit on Odesa Port Plant are not interested to sell. — Are you, as a shareholder, happy with the work of the management? — Analysts at Concorde finalized the results according to the statements provided by the management. In 2014, the company made 600 million UAH in losses. We sat and did some math—what was the market price for gas at the time and what was the market price for ammonia, urea, and ammonium nitrate which comprise the products manufactured by the company. These are all commodities. In addition, we looked into the market price for transshipment of Russian ammonia that goes from Tolyatti. Our conclusion is that the plant most likely earned USD 90 million in 2014. We did the same thing for 2015. We assume that the company should have disclose a EBITDA of USD 50 million vs. USD 8 million disclosed officially. — Is this ongoing still? — I cannot answer yet. We need to see the prices the company has bought gas and sold ammonia in the recent time. Unfortunately, the most recent meeting of shareholders was not held because the majority shareholder failed to appear. To all practical purposes, they appeared, but had no order to vote. By the way, the Director at Odesa Port Plant has been unchanged for as long as 20 years. When I asked them: guys how come you don’t change the Director?, they would tell me: The new one will be only worse. A rather bold statement. — How and from whom did you redeem the shares in Odesa Port Plant? — This was back in 2007, we bought instruments from the plant workers. — Who can be an actual buyer of Odesa Port Plant? — Omani, Turks, Norwegians, worldwide operators on that market. As a matter of fact, why else is Odesa Port Plant so important? Apart from the EBITDA is generates, they also control approximately one third of supply on the global chemicals market. This concerns, among others, Russia and Ukraine, because the Plant sits on the known ammonia line from Tolyatti. This is a strong case. If the State Property Fund has that ace in the hole and digs in that direction, then, most likely, they will obtain a price higher than just a multiplier of EBITDA. If we make an assumption that EBITDA is USD 50 million, then, by using any realistic market multiplier, by way of example, 5 or 6, we get USD 300 million minus 200 million in debt. And this is the price that amounts to USD 100 million. For you to understand: for Kernel and Mironivsky Hliboproduct that are traded in Warsaw and London, the multiplier is 4. Even if we assume that this is a superplant that has its own unique characteristics and competitive advantages, and use a multiplier of 7 or 8, the anyway this will amount to USD 400 million less the debt. It would be better to sell Odesa Port Plant to Kolomoyskyi five years ago and all that corruption would be controlled in the harshest possible way. —Are you going to participate in the privatization as an intermediary representing somebody’s interests? Do you give advise to anybody? — If the privatization will be conducted, we will participate. And what is more, I think, even if in a role other than an intermediary. However, I don’t believe in privatization. The case of Odesa Port Plant that should have become a trigger and launching pad for massive privatization, will most likely become an anti-trigger. We, by the way, have already participated in privatization of Odesa Port Plant. 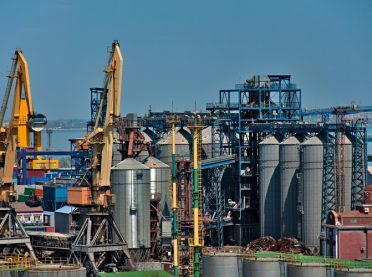 In August 2015, the State Property Fund in pursuance of the procedure announced privatization of 5% shares in Odesa Port Plant that should be implemented at a stock exchange. We raised USD 4 million in guarantee deposit converted them into UAH, pushed the deposit to the stock exchange and than, one day before the bidding the State Property Fund and the Government canceled that privatization. — If you participate in the competition to purchase 99.6% in Odesa Port Plant, will this be a pool of investors, you are not willing to buy, are you? — Odesa Port Plant, most likely, yes. There, by the way, will be an oblenergo. Some time or other. — Can a business with some Russian traces participate in the privatization? There is, by way of example, a company by the name of Tolyattiazot that does not seems to be stronghold of the Russian regime and the owners are not Russians, nominally. Can they, in your opinion, participate in such a competition? — They could; however, I find no sense in discussing this. The Government made a political decision to deny Russian investors. I am neutral in stance on this. — Do we need to judge by beneficiaries or by where was the business incorporated? Grygoryshyn with Ukrainian passport cannot participate too, can it? — By the way, good question. This needs to be asked Ihor Bilous (Chief Executive Officer of the State Property Fund — epravda). Is Grygoryshyn a major sponsor of the warmongering Russian regime? Most likely he is just like Tolyattiazot. — Who can be interested in Centerenergo? — There were two or three buyers, even EBRD was organizing some kind of pool. Centerenergo requires large investment; however, given the current tariff for heat it would be a terrific deal. I am afraid that privatization of Centerenergo is even more politically sensitive, due, among other things, to Rotterdam plus, by reason of high tariff. — I haven’t been a witness to whatever they did, but, most likely, yes. Most likely, coal from the ATO Zone that is produced in makeshift coalmines at 500 UAH and then sold at UAH 1,500 is supplied to Centerenergo. — The Government owns most companies in the agricultural sector; however, everything is about the same as usual. Ukrspirt, anyone? — I don’t think so either. — Aleksey Pavlenko [former Minister of Agrarian Policy — epravda] and the previous team were unwilling to hold a competition and found a lot of reasons to avoid transferring the company to the State Property Fund. Will the new team do the same thing? — At least, they announce. However, there is another problem: any public servant who manages the company, will always have a conflict of interest, let alone corruption. In the back of mind you wish to have a long rather than a short queue in your reception room. We need to fully transfer the company to an independent agent that has no economic influence. The sake must be complete. I am surprised by statements that Ukrspirt is a strategic company. On my birthday I got a hooch still. No space technology or strategy in it, not anything at all, people just for years and decades just sit and siphon off. Or take Ukrzaliznytsya”. What kind of strategic company it is? Most railway lines, locomotive engines, railcars, all railcar repair plants in most countries are privately held. Ok, nuclear energy industry. They actually have technology; however, this being the case, it is all private in the US, Japan, and Hungary. Just set up a normal regulator already and Japanese, US, French operators will come that will manage better. — Even disregarding the strategic value of Ukrspirt, it still remains a complicated case. How exactly should it be sold? — Let vodka and ethanol producers, local and Western come. Whoever comes, let them buy. On the other hand, as far as I understand, all that business has approximately a dozen plants that siphon off and are not subordinated to Ukrspirt. And neither Kutovyi nor the Government control them in any way. My opinion: some kind of super-technology asset cannot be sold, ok. Why is Ukrspirt so important? There is a regulated monopoly to produce alcohol. That’s it. Had it not exist, any other private investor would come, build a plant and just produce and sell alcohol — as is the case worldwide. What is the Ministry of Finance so concerned about? There is an excise duty that should cover production of alcohol. Then sell a production license. Buying a license, an investor already knows, how much money they should pay to government budget. Buying a license, you have to pay, by way of example, USD 10 million and will be entitled to produce only so much alcohol. — What about clusterization that the Agrarian Minister keeps telling about? — The Minister says: let us split it all into 5–10 separate businesses. One business will comprise one good plant and three bad plants, as they like. Buying one good plant, you should buy three bad plants. What does a vodka or ethanol producer needs? They do not need that particular plant. They need a license. Therefore, you just sell those plants, at a price at which they will be bought as scrap and charge for the license. Another interesting topic is consumption of alcohol in this country that, come good or bad times, was 10 liters of pure alcohol per capita. The population in this country was 44 million. If we exclude The Crimea and the East, then we will have approximately 38 million. That is to say, production and consumption of alcohol should be 38 million decaliter. In 2015, legal production was 18 million decaliter, in 2016 it will be 14. That is to say, two thirds are in shadow. This is 5 billion UAH in unpaid taxes. By the way, increase in excise taxes for alcohol in 2015 by 25% produced a result that in absolute terms in 2015 they were paid UAH 5.3 billion vs. UAH 5.4 billion in 2014. That is to say, growth in excise taxes for alcohol resulted in the going to operate in shadow and reduction of the government budget income. Just as the Land of Fools, the movie! This being the case, counterfeit alcohol produced more deaths than war on a yearly basis. — Roman Ivanyuk who managed Ukrspirt and whom you know well, managed to slightly improve the situation with counterfeit alcohol production. However, at the end of its tenure her did not influence virtually anything. What happened? — Ivanyuk came there in January and left in autumn. He worked there for nine months. He influenced all decisions, as far as I understand. Ivanyuk took a company with 300 million UAH in losses and in nine months left it with 200 million UAH in profits. The company now has approximately 30 instead of four operating plants. To my mind, when he left, it all just got back where it was. Four or five operating plants instead of 30. Here is to the role of the management in a government-owned company. — Did you discuss the case of Ukrspirt with him? As far as I know, you helped him and even were present at one of the meetings between Ivanyuk and vodka producers. What did you do there? — I met with vodka producers; however, Ivanyuk was not present. I met with vodka producers as early as at the end of the 1990s and, by way of example, last week. — I am telling about what was in 2015. — No, I was not present at such a meeting. — Several participants of that meeting confirmed that you were. — I have never been at a meeting of Ivanyuk and vodka producers; however, many vodka producers are customers of Concorde Capital. — Concorde Capital Investment Company has recently been involved in a legal action of the US Securities and Exchange Commission (SEC) due to use of insider information. How did this happen? — Concorde has nothing to do with that scandal. We are a major broker and trading platform provider in Ukraine and worldwide. We have many various customers. As we found out then, they had an opportunity to trade based on such information. Very frequently or nearly always our customers have direct market access via our platform in America, England, Australia, Russia, Ukraine, wherever. We settled that matter with the US regulator, finalized it in court, case closed. — Financial burden was borne by unfair traders. I cannot tell who they are as this is my business obligation.— Concorde was held liable and paid a fine. — There are plenty of materials on the Internet that negatively cover some of your companies. By way of example, Tyme payment system that allegedly operated in the territory controlled by DNR/LNR or broker by the name of Private fx. — I am getting accused at times. Your colleagues even said that Borys Kaufman and Aleksandr Granovsky ordered my assassination last summer. Allegedly, they hyped up the same story with the US Commission. — Why would Kaufman and Granovsky do it? — I haven’t the least clue. I am not sure that this is they. — You could not but run into them in the Presidential Administration. — Absolutely not. As far as Tyme is concerned, I am a minority shareholder. When all that counterfeit PR came about, I, as a shareholder of the company, sent an official request to the National Bank of Ukraine and the Security Service of Ukraine to check the company, in which I invested. Tyme proved to be virtually the only transparent payment system that has nothing to do with DNR-LNR laundering and all the rest. The National Bank of Ukraine revoked licenses from many other payment systems, while we have been issued a new license to provide foreign currency transfers. — Why do you need a broker named Private fx? — This is our own project that is complementary to our palette and expands our service toolbox for customers. In addition, we earn commission fees. Just business. — It seemed that the market went silent and investment in Forex brokers are not very popular. — The stock market also looks silent. In actual fact, the stock market is very dynamic and agile. —In Ukraine too. Once there was a market for shares then it turned to IPO market, then IPO market dies and turned to local corporate offerings market, when it also died, Eurobond market emerged. Eurobond market died and a market for bad debts and restructuring merged. If it dies, M&A market will emerge. Investment in such assets forms part of our strategy. — What else will you invest in? — We invested in a network of medical clinics by the name of Dobrobut. We expand it, we build hospitals, offer healthcare to increasingly more patients. We invest in energy saving. Jointly with Vitaly Antonov [owner of Galnaftogaz Group, OKKO petrol station network — epravda] we are organizing one of the largest companies for energy saving in Western Ukraine. — Is Lozhkin related to Dobrobut? — Not in any way. — Except that he wished to buy the network and now his close ally, co-owner of Luxoptics network of shops Oleg Kalashnikov is an owner. — Lozhkin is not an owner of Dobrobut. — You participated in Ukrainian Business Initiative that rolled out its activities at the year beginning at the suggestion of Sergey Taruta. Does it still exist? — I spent less and less time on it. I am pleased that businessmen started lift up heads and talk about their rights, including, among other things, within the framework of Ukrainian Business Initiative. It still exists and continues working. At least, I can constantly see invitations to those meetings. A different matter is that I stopped attending. In my opinion, business community needs real things more than tag lines. Yes, Let’s make it all for one, one for all as the saying goes..
— To what extent were owners of Financial and Industrial Group engaged in the organization? — After the press-conference, where we announced the inception of the initiative, I haven’t even seen them at the meetings. I am not sure if they are engaged at all.